WATCHING THE CLOCK « THE BRYCE IS RIGHT! 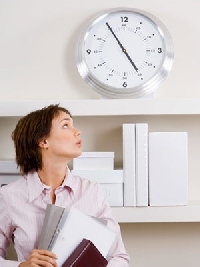 – Do we watch the clock or the work product we’re producing? NEXT UP: WHAT IF TRUMP LOSES TO THE ESTABLISHMENT? – Is it the end of the GOP as we know it? LAST TIME: BRYCE AMERICAN HISTORY QUIZ – And the results are in…Just how well do we know our own country? This entry was posted on April 25, 2016 at 6:00 am	and is filed under Business, Management. Tagged: Florida, palm harbor, The Bryce is Right, tim bryce, WATCHING THE CLOCK. You can follow any responses to this entry through the RSS 2.0 feed. You can leave a response, or trackback from your own site.